I can’t believe there’s only 4 more days until Starcraft II is released. I feel like I’ve waited forever to find out what happens next in the story… will Kerrigan become human again? Will Mengsk ever get his comeuppance? I’m so excited! Tod has a bunch of Starcraft novels from when he worked at Blizzard, and I’ve already gone through all of them. I think I might replay the campaigns from the original Starcraft in order to refresh my memory of the story again, too… So many good games, so little time! I’m really hoping Ni no Kuni will be released in the states… and there’s the new Donkey Kong Country, Pokemon Silver, the WoW expansion, Spirit Tracks, the 2nd and 3rd Professor Layton… now is a great time to be a gamer. After spending 2.5 years working on an rpg of my own, I think I can better appreciate the sheer amount of dedication Amanda has for creating video games. In the past 5 years alone, Amanda has independently developed over 5 games (3 of which are rpgs… and for those of you who are familiar with the immense amount of work that goes into crafting an rpg, you’re probably just as amazed as I am). She also runs a small but successful video game portal at amaranthia.com. An active member of the community, Amanda has donated several free art and programming resources to the rpg community and has been a source of guidance for many budding game developers out there. 1.) Can you tell us a bit about your job? I manage the financial and creative direction for Amaranth Games. 2.) How did you get into the video game industry? It was an accident. I used to create freeware games for the fun of it. One of them did very well. I realized that I might be able to turn my hobby into my job. It was exciting when I finally took the leap and I’m glad I did. I love my job. 3.) What are some of your favorite games? Fable 2 and Dire Grove are the two most recent games that I loved enough to finish. I’m also a big fan of the Zelda DS games. 4.) What were some of your favorite projects to work on and why? In general, the Aveyond games are my favorite. Working with RPG Maker makes the whole game development process fun and I love RUBY scripting language. The part I love the best about Aveyond is making maps. 5.) What are your thoughts on being a female in the video game industry? I wish we had more female game designers and programmers. The number of women in the games industry is growing, but in general, it seems like most women are choosing to take supporting roles in marketing and testing. People often ask me what they can do to become a video game musician or sound designer. Although there are a lot of steps you can take, being prepared to showcase your abilities at the right time and place will go a long way towards helping you meet your goal. Fryda’s story about breaking into the industry is a great example of this (and it was really fun to read). Currently working as an independent sound designer for Behemoth, Fryda has been active in the industry since 2001 when she landed a job at Sony Online working on such titles as Everquest II and Untold Legends. Her website can be found here. I’m a Sound Designer, a voice over actor and have recently become brave enough to compose music for games. I’m current working on The Behemoth’s BattleBlock Theater. I was hired as a Customer Service Representative, or Game Master, for Sony Online Entertainment in 2001. I spent 2 and a half years as a Game Master and 1 year as an Administrative Assistant. By that time, EverQuest II was in full swing development. It was a very ambitious project, and some 100,000 lines of dialogue from AAA actors were being recorded and implemented for the game. An Audio Department was created for the first time at Sony Online in San Diego because the audio requirements for the game were so demanding. The Audio team realized they needed help implementing the incoming voice over lines, and opened a position. As someone who wanted to become a Sound Engineer in high school (but gave up the dream because colleges required upper level credits of math and chemistry in order to receive the degree), I immediately went for it. I got the job and spent the rest of EverQuest II’s development implementing dialogue, eager to do more whenever I could. After EverQuest II shipped, there was little for me to do, and I became very nervous. I asked one of the Lead Sound Designers to give me a chance and allow me to learn how to create audio. He graciously agreed, and because of him I was able to cut my teeth on several projects and received my first Sound Designer credits on Untold Legends, a PSP series of games, as well as Untold Legends: Dark Kingdom, a PS3 launch game. I’ve been a Sound Designer for 6 years now, and in the video games industry for 9 years. Warcraft II and III, Diablo I and II, World of Warcraft, Peggle, Plants vs Zombies, Castle Crashers, Left 4 Dead 1 and 2, Deadspace, Bioshock. Left 4 Dead and Deadspace are particularly good to take note of to see value of audio in gameplay when one can’t exist without the other. Both are beautifully executed games via sound! The only challenge I’ve had to face is the same as everyone else: Doing the best that I can and proving that I’m capable of whatever I set out to do. Women are outnumbered, but not outranked. Portal’s Kim Swift for example is a Cinderella story proving that any female with the right talent and work ethic can be noticed for being great and now the world is her oyster. Stick to your guns, and present yourself the way you feel women should be represented in games. Sometimes men don’t understand that women want to play basketball because they love basketball, not because the ball is pink. So bringing a female perspective to the table is sometimes awkward but helpful and I think necessary if game studios really wish to close the gender gap and attract all potential gamers, new or old school, male or female. I’ve been hoping for a while now that PopCap would make more Plants vs. Zombies merchandise… after all, there are so many cute characters to choose from that would make for awesome figurines, stuffed animals, stickers, etc. Heck, even Crazy Dave and his Magic Taco would make a good plushie, don’t you think? And if it’s anywhere near as well-designed and creative as some of the swag that’s been coming out of Popcap’s Creative Labs, then rest assured I will be doing my best to collect a complete set. If you’ve played around with the Zombatar, seen the eye-catching Plants vs. Zombies retail boxes, or gotten your hands on a can of “Brain Ooze,” then you already know a bit about the creative and interesting things Paula has worked on during her time at PopCap Games. I lead the marketing creative team at PopCap Games. We bring the awesome games our studio creates to market. We’re a team of 20 print, web and video designers, copywriters and account managers. Most of us are based in Seattle; two are in Dublin and two in Shanghai. We develop all the retail packaging, marketing materials, ads, video and the creative for our partners and for PopCap.com, where we feature our games. Peggle, Bejeweled Blitz, Bookworm, and of course, Plants vs. Zombies! I find it thrilling to go to a national retailer and see a whole line-up of our retail products, side by side. We have an amazing shelf presence and that has helped contribute to a successful retail business. Since this is a direct result of my group’s work, it makes me super proud! It was also outrageously fun to work on Plants vs. Zombies marketing projects. 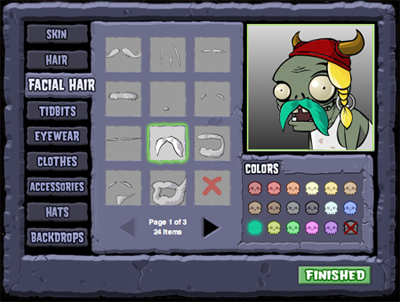 I was part of the team that suggested and promoted the idea of a Zombatar—a Zombie avatar creator. 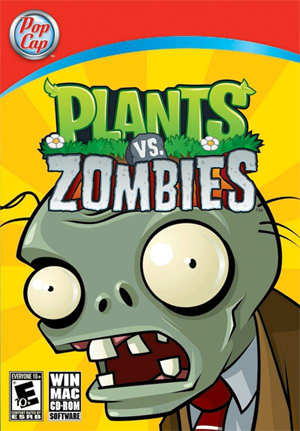 Everything that we did for Plants vs. Zombies was so full of personality and quirkiness. Irreverence and silliness went into everything we did for PvZ, from the “no zombies” stickers, to energy producing sunflower seed packets, a Brain Ooze drink, Zombie Temp Worker videos and creating a party invitation with Zombie handwriting that printers were instructed to fold “poorly” as if it came from Zombies. When I first started at PopCap, there were perhaps 5 women, out of 75 total employees. Women are definitely in the minority, but our percentage has grown. PopCap’s casual games are immensely popular with women. I foresee our numbers increasing in the video game industry as well as customer base and believe there will be better gender balance in the future. I love that I’ve gotten to be a bit of a pioneer in this industry. On the topic of Magic, for part two of the series I’ve interviewed a girl who spent over three years working at Wizards of the Coast before going on to develop games for Zynga. Rachel has done everything from programming cards for Magic Online to implementing Flash features for Mafia Wars. I am currently working in social games. I’m a Senior Flash Developer at Zynga, and have been implementing Flash features for Mafia Wars while establishing a library of common code to use in our game. It has been an interesting experience so far. Since so many millions of people play our games, we always have to be concerned with implementing our features in a way that doesn’t bring down our servers. We also get some great perks like massages, a culinary department that cooks us meals every day, and spontaneous trips to Vegas. Before my current job I was at a small company in Seattle called Cricket Moon Media for 2 years, where we took on contracts to make Flash games and activities for major media clients. And before that I worked at Wizards of the coast for 3 ½ years, first programming cards rules and working on the client for Magic Online, and then prototyping new games. I avoided going into computer programming for a long time even though I enjoyed it. When I was in high school I knew guys who programmed in their free time, and I felt like I would be behind because I never did. I preferred reading books, and also thought I needed to have a brilliant new idea for a game in order to program and never had anything I was particularly inspired to make on my own. I started out college majoring in Chemical Engineering, but the logic problems I saw friends working on looked a lot more interesting. I switched majors and loved all of my classes, but ended up drifting more towards programming than hardware. needed for my Masters degree out in Seattle. Even after working in the industry and doing great at my job, it took me a while to get past thinking I didn’t know as much as those who had programmed games in their free time and studied Computer Science instead of Computer Engineering. I eventually ended up programming a Game Boy Advance game and later working as a prototyper where I had to quickly create games from scratch. Those experiences helped increase my self confidence and made me realize that I knew what I was doing and it wasn’t as big of a deal as I had thought. While prototyping, I experimented with Flash, and found it to be a lot of fun and a nice change of pace. I ended up getting a job programming Flash games and have been doing that for the past few years. I tend to be partial to turn-based strategy games on handhelds. My favorite games are those in the Fire Emblem series, closely followed by Jeanne d’Arc, the Phoenix Wright: Ace Attorney series, and Professor Layton. I am currently playing Shin Megami Tensei: Strange Journey, and am having a lot of fun with it. 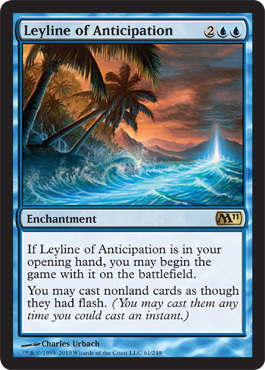 I really enjoyed the work I did programming cards for Magic Online. Every few months there were a couple hundred new cards that I had to make work properly. It was rewarding being able to constantly see my progress checking items off my to-do list and every card was a unique puzzle to figure out. My prototyping projects were also a lot of fun, although none of them have turned into released games that I can talk about. My favorite flash project was probably a Mahjong game I worked on for Disney Channel. I liked it both because Mahjong is a game that I’ve enjoyed playing in the past and it was interesting to think about the best way to program it. I’ve been working in games since college, so I don’t know too much about other industries to compare it to. At this point I’m used to being in an environment where there aren’t many women. I’ve found I’m usually the only female programmer, although there have been times at each of my jobs when there’s been one other woman. Being surrounded by guys all day makes me want to be more girly – I never used to like pink, but recently it’s grown on me a bit. I bought a pink DS and other pink gaming accessories and it makes me feel less like another one of the guys. In general, I haven’t noticed being treated differently for being a woman except for a couple of awkward situations (being told I needed to be filmed immediately for a University Relations video so they could show there are women in technical positions at the company and being told that it was good I was going to a conference because I’m a woman). I’m also a bit amused every time I hear the guys at work complain about having to wait to use the restroom. If you’ve played Uncharted 2 and enjoyed its wonderful soundtrack, then you’re already familiar with some of Tammy’s contributions to the industry. A member of Sony Playstation since 1999, Tammy works as a Music Producer to help coordinate soundtrack distribution and manage projects. Besides organizing killer game soundtracks, she also works as a personal style consultant. I’m a Music Producer for Sony PlayStation. I handle coordination and distribution of our soundtracks. What that means is that I help pull together the production, artwork, marketing support, and schedules for our game soundtracks that are released on the PSN, in stores and on iTunes. I also work closely with the Music team as a project manager on our products helping to support the team with budgets, risk, and project tracking. My good friend actually submitted my resume for an opening position in the Audio Department. My first job was in 1999, I learned so much about the industry from the ground up. I was fortunate to witness the launch of the PS2, PSP, PS3, and the PSPgo and be part of that great experience of building a brand. My favorite games are those that I can play with my daughter. Like LBP, can’t wait till the sequel hits the shelves soon. We also like playing SingStar, Buzz and LocoRoco. 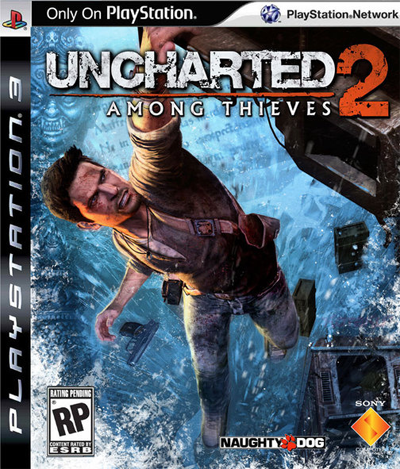 I loved working on Uncharted 2 because Greg Edmonson is such a class act and the score was brilliant. Getting to witness how Amy Hennig worked and how her robust story line fused together with the music was phenomenal. When the awards started coming in for Uncharted 2 this past year, I was really proud to have been associated with that game. I think that the game has changed a lot in the last ten years. I see women leading companies, driving innovation, and in greater leadership positions. I enjoy that as a younger industry, the rules were written a bit differently for us luckily. I think that we’re more open-minded than some more established ones and it’s worked in women’s favor. The women that I’ve met and known throughout the years are inspirational and supportive. I feel like as a woman in this industry, it would be something I would like to pay forward. Hi everyone! Hope you’re all having a great week ^_^ I haven’t had too much time lately to blog because things have been pretty busy for me at work, but today I finally got a chance to sit down and write. First of all… I wanted to let you know that I’m going to be doing a short interview series this month on my blog about girls who work in the video game industry. I interviewed some awesome ladies and I’m looking forward to sharing their responses with you. So make sure to check it out! I can’t believe I had almost forgotten that E3 was this week! It wasn’t until my manager texted me saying he’d be flying down to LA that it finally hit me… it’s already the middle of June! This morning we watched Nintendo’s talk on the new Zelda for Wii. By far my favorite part was when Shigeru busted out from behind the backdrop. I’m not really sure what to think of the game yet, because the trailer didn’t show that much. I also felt bad for the presenters because they were obviously experiencing some interference that prevented them from showcasing what seemed to be Shigeru’s main platform: its more “natural” control scheme. But that’s alright, I’m still looking forward to playing… after all, I’ve been waiting for a new Wii Zelda since the day we finished Twilight Princess. So what about you guys… were there any E3 announcements that you were particularly excited about? For me it was all about Zelda: Skyward Sword, the 3DS, and Portal 2.